Podcast Episode 35: Behold The FURY Of Marvel vs DC! Last week was a doozy in terms of superhero movie news, with Marvel announcing that Robert Downey Jr. will be appearing in Captain America 3 to kick off their infamous Civil War story while DC finally announced their full slate of films through the end of the decade. Along with the expected individual entries for characters like Wonder Woman, Aquaman and Green Lantern, WB also revealed the casting of Ezra Miller as The Flash, two Justice League movies filmed back-to-back, (but released two years apart) and a Suicide Squad movie to be helmed by David Ayer. Due to a number of factors I didn't get a chance to write about any of this last week, so Bart and I decided to tackle all of these topics plus a few tangents (Might Will Smith actually play a DC villain? Who's a better director, Zack Snyder or Joss Whedon?) in Episode 35 of the podcast. As a result, this week's episode is a wee bit long and somewhat lopsided, but I think the conversation flows naturally so I didn't want to trim sections of it wholesale. 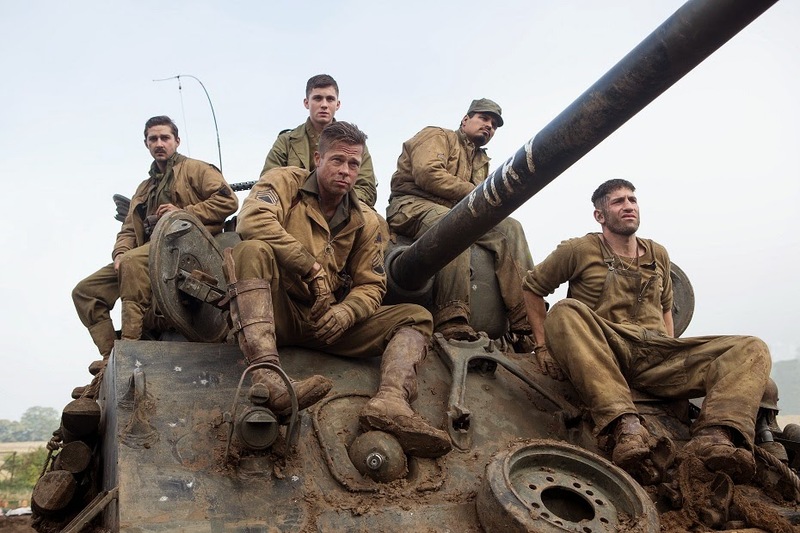 Eventually we get to talking about David Ayer's current film Fury, in which Brad Pitt plays a World War II tank commander fighting deep inside Germany at the tail end of the war. Despite Pitt's star power, it's really an ensemble film and I think the work of Logan Lerman, Michael Pena, Jon Bernthal and yes even Shia LaBeouf really elevates the proceedings, as each character is extremely compelling in their own particular way. There's also plenty of smartly staged tank combat, a style of warfare that seems well suited for cinema and yet feels largely underutilized by Hollywood. But the action scenes, while intense, serve almost like release valves for the ratcheting tension that accumulates in the time between battles. It's here where we see the true psychological horrors of war, which feel just as devastating as the physical toll wreaked upon the American GIs. Suicide Squad was easily the most surprising title on DC's docket, but it's little wonder that the announcement was made just days before Fury hit theaters. It's only too easy to connect the dots between this war film depicting some not-so-nice men on a mission and a movie in which comic book villains are enlisted by the government to go on suicide missions for the promise of amnesty if they somehow manage to survive. In fact, it almost feels like Jon Bernthal's whole performance in Fury is an audition for that Suicide Squad. We should be so lucky. Still, with names like Will Smith, Tom Hardy, Ryan Gosling and Margot Robbie all circling the film it seems all but certain that DC's first follow-up to Batman v. Superman: Dawn of Justice is not going to tread lightly. Next Week: Keanu Reeves enacts puppy-vengeance in John Wick!